BIKING IS the best way to do a tour of the city we love! A front crank that is guarded - for those of you still living in the late 60's and early 70's, your bell-bottoms won't get caught. The lightest frames of any other tour company in NYC. Brakes lines that are built into the frame of our bikes and constant maintenance of our bikes. Loose cables are dangerous! We know you may not show up looking like your ready to tackle one of the stages in the Tour d'France, wearing tight shorts and jerseys, so your normal gear will be just fine! Also, we know you love to bike, but at some point, we might need to stop! We hate fixed gear bikes! Most of our bikes, offer 7 gears and up! We're not talking pro bike racing here, but a couple of gears will help you get through a small hill or allow you to fly through a park with ease. We offer bikes with tires that NEVER GO FLAT! There is no other tour company that offers such peace of mind. We want to insure that you finish with us. And we spent a lot of time and research buying tires that are great! Many of our bikes have racks and water bottle cages. We don't encourage that you bring much on your tour. We can store things for you when you arrive; but for that one person in your party that cannot part ways with a purse or a designer coat, we can strap it to the bike. However, many of our bikes do not offer racks, making dismounting the bike much easier. We have bikes in many sizes. We also have two frame types - a step through frame and a straight top bar. We want you to be comfortable and happy while riding with us. You will be asked your height during booking so that we have the right bike for you when you arrive. 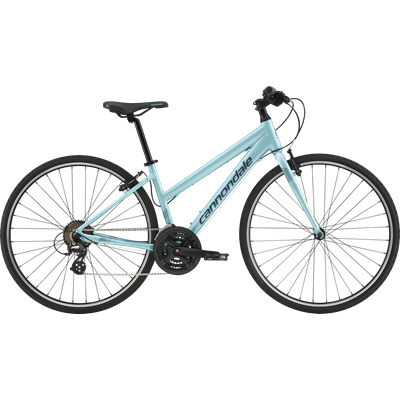 We also have premium hybrid Bikes for the more aggresive rider or cycling enthusiasts. And we have bikes for smaller riders/younger adults, and we have bikes for children 7 and up! Ultimatly, we have you covered!! !